Seven years ago, I was stuck in a full-time job. I was overworked, under-appreciated, and I didn’t feel challenged. I was working as a Graphic Designer and wanted to transition to web design, but none of the companies I’ve worked for gave me a chance to grow in this direction. I felt trapped and I didn’t see it go anywhere. This article is based on a talk I gave at the WordPress Meetup in Sofia on April 19 called “Lessons learned from 7 years of freelancing as a WordPress Designer and Developer” in which I shared my experiences. I’m excited to volunteer and speak at WordCamp Seattle for the first time this year! The event takes place on June 28th filled with great sessions and a Contributor Day on Sunday. I like Seattle a lot – to me it is such a relaxing place, so I can’t wait to visit again. My session is called “UX – A Checklist for Real Websites“, please stop by if you’re attending the event. There will be a live stream of the event, so if you can’t be there, feel free to tune in! Hope to see you in Seattle, make sure to say hi! 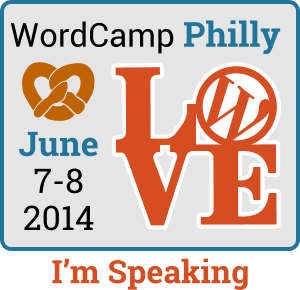 It was a pleasure and honor to speak at WordCamp Philly this year! 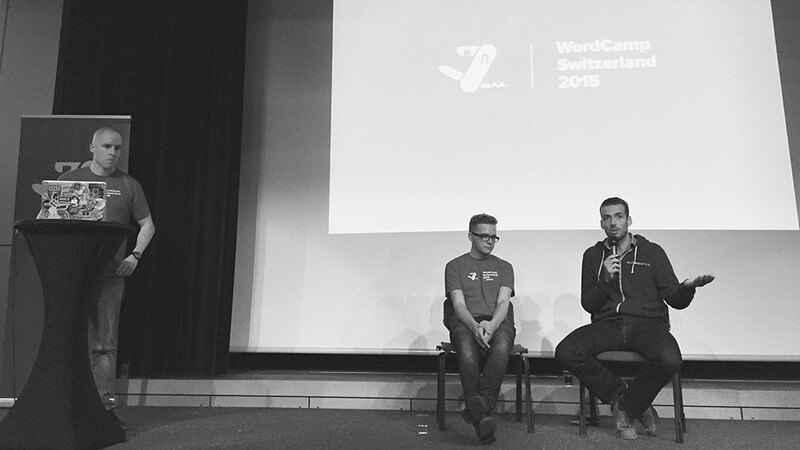 Attending and speaking at WordCamp’s is always a great opportunity to meet the local community and share ideas with other WordPress Designers and Developers. It was my first time at WordCamp Philly and Brad, Liam, Doug, April and the rest of the organizers and volunteers did an amazing job! The sessions were well curated and the hallway-track was a great opportunity to make new friends. 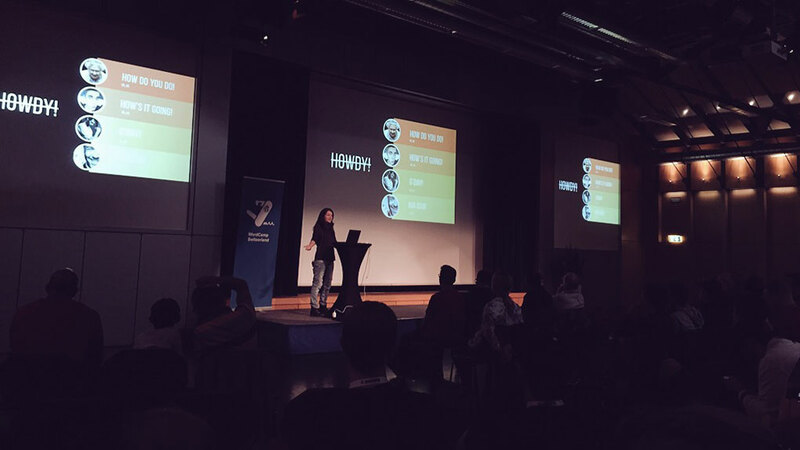 This year I spoke about User Experience and WordPress. Everybody is always talking about User Experience, but what is it and how can you improve the usability and user experience of your website today? I shared practical, real-world examples and tips to boost your WordPress design skills. The premise is, to not just build pretty websites, but to make smart design decisions and add UX best practices to your workflow. Asking questions like: Do I really need a large slider on my homepage? 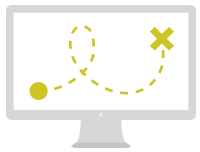 Are there clear nav menus and Calls-to-Action to guide my visitors? How does my site displays on other devices? A good UX job continues after launch using Google Analytics and other tools to analyze and iterate. I’m Speaking at WordCamp NYC 2012! 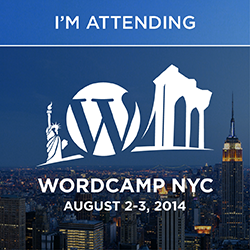 I’m excited that WordCamp is returning to New York next month! I will be speaking about Responsive Design with WordPress. The session is called “WordPress Responsive Design Bootcamp” and is scheduled for Saturday, June 9th at 11:30am. After a brief intro about what Responsive Design is, I will dive right in and make a standard WordPress Theme responsive. 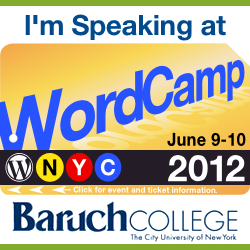 For those of you that are interested in attending WordCamp NYC it will be held on June 9th and 10th at Baruch College. You can expect 2 full days of WordPress goodness with over 60 sessions, lots of Geekery and you can meet many WordPress rockstars in person. To buy tickets and find out more go to WordCamp NYC at http://2012.nyc.wordcamp.org/ or follow them on Twitter at WordCampNYC – hashtag #wcnyc. I hope to see you all there! Make sure to say hi. I had the pleasure to present about Responsive Design in front of a fantastic audience at the New York WordPress Meetup. We explored the techniques and principles of Responsive Design together, including the Flexible Grid, Fluid Images and Media Queries showing examples of how these principles can be used to create a user-friendly experience across all devices and screen-sizes. I shared this event with Jack Reichert who spoke about the pros and cons of Responsive Design and Progressive Enhancement vs. Graceful Degradation.